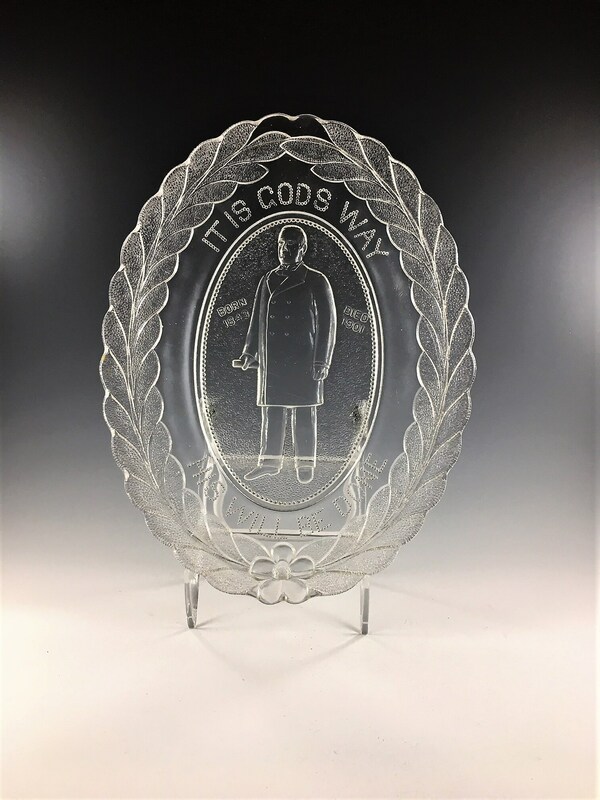 Featured is an antique 10 1/2 inch oval glass bread plate that was made by the U.S. Glass Company to commemorate the death of President William McKinley. His image is in the center with words, "Born 1843, Died 1901". Above him are the words, "IT IS GODS WAY", followed by words at bottom "HIS WILL BE DONE". A flower and foliage design surrounds the plate. 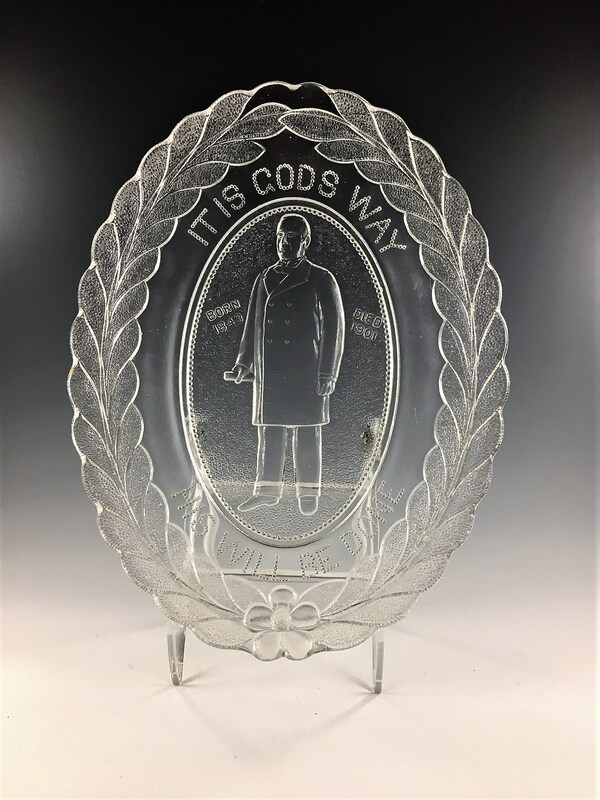 This piece is a nice example of Early American Pattern Glass. William McKinley was the 25th President of the United States, serving from March 4, 1897, until his assassination six months into his second term. 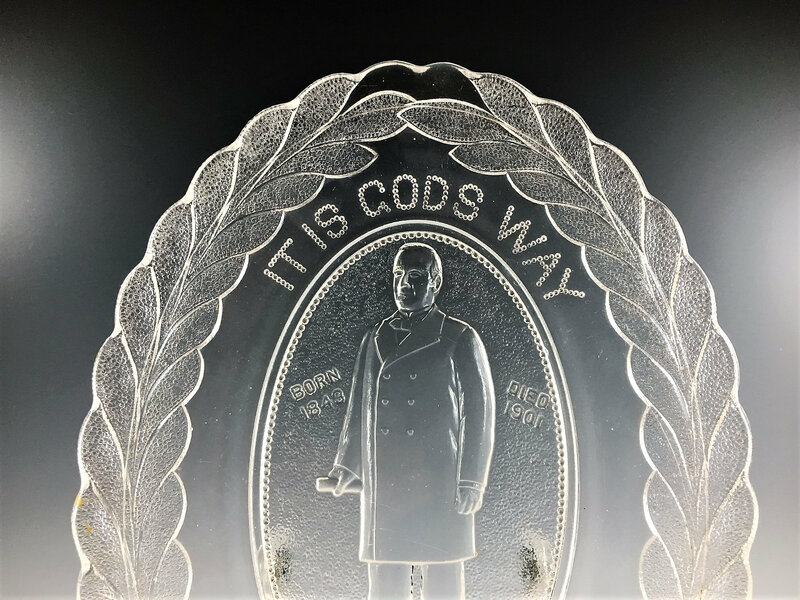 McKinley led the nation to victory in the Spanish–American War, raised protective tariffs to promote American industry and kept the nation on the gold standard in a rejection of free silver. This piece is in excellent vintage condition, free from any chips or cracks.